Scheduled to be held on Saturday 5 May 2018, the early season Falkensteiner Punta Skala Triathlon half distance race (1.9 km, 90km, 21km) is welcoming its 5th edition this year – situated at the tip of the Peninsula Punta Skala in Petrcane, near Zadar city in the North Dalmatia region of Croatia. Zadar is located in Croatia on the Adriatic Sea, almost directly across from Rimini, Italy. Historically it was the center of Dalmatia and is Croatia’s fifth largest city, with 75,000 residents. Falkensteiner Punta Skala Resort is an exclusive holiday destination where athletes can enjoy an exclusive wellness holiday. 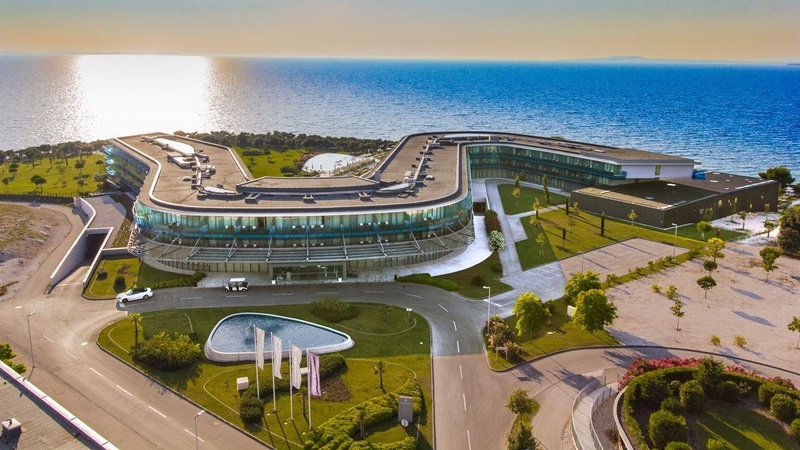 With two main hotels, the Family Hotel Diadora (four-star plus) and the Hotel & Spa Iadera (five-star) along with various restaurants and shops and a variety of sport facilities, the Punta Skala Resort aims to offer a ‘true holiday paradise in Zadar, Dalmatia’. The Falkensteiner Punta Skala Triathlon was moved to the beginning of May because of the better air temperatures (average 22°C). The event organising team add that the average sea temperature of 16.7°C is high enough for swimming with wetsuits in the crystal clear Adriatic sea. Due to the earlier race date, the main event sponsor, Falkensteiner Punta Skala Resort, is able to offer participants ‘top-of-the-line accommodation at extremely affordable rates’. With a booking of at least one night in one of the partner hotels athletes will receive a 50% discount on the race entry fee. For a for minimum two night stay, in addition to the 50% discount on event entry, a one per room entry to The Croatian Wings for Life World Run is included. This event returns to the picturesque city of Zadar on Sunday, 6 May 2018. The race starts with a 1.9km swim in front of the Falkensteiner Family Hotel Diadora. The 90K bike course heads towards a small Dalmatian fishing village, Petrcane, then towards Nin, the oldest Croatian royal town at 3000 years old. The route continues through picturesque villages and then back to the Punta Skala Resort. The 21K run (4 laps) will take athletes through the Falkensteiner Punta Skala Resort with the backdrop of the Adriatic sea. The half distance triathlon is also the Croatian Open National Championships, and will feature the ‘biggest independent prize purses in the Croatian Triathlon Calendar’, with general sponsor prizes in the form of accommodation vouchers for Falkensteiner Punta Skala Resort at a total value of €4500 allocated to the top five finishers in the male and female categories. The main race will also be joined by an aquathlon with the swim part at the 25m pool of the Falkensteiner Family Hotel Diadora followed by a 5K run. Falkensteiner Punta Skala Resort is served by Zadar International Airport, which is around 10 km from the centre of Zadar. It is accessed by regular, low-cost carriers from all over Europe. There are also daily flights from Zagreb and Pula to Zadar International Airport with Croatian Airlines. Zadar is also a key transport hub with ferry connections to the surrounding islands.